In light of the millennia of the history of philosophy that we have behind us, it was only recently – setting the last few decades aside – that the moral argument slipped out of the mainstream. In the first half of the twentieth century C. S. Lewis could refer to the moral argument with some confidence, and it may well have been the most common of the major arguments for God’s existence at the time. While today most Christians philosophers might look favourably on the moral argument (with the occasional noteworthy exception like Richard Swinburne), it has certainly fallen out of favour among the philosophical community – in spite of what I take to be its strength – bearing in mind of course that in the English-speaking world the general population outside of academia was once much more Christian than today. Where did it go? Why, in the mid twentieth century, did the moral argument slip out of sight? Part of the explanation may well lie in the ascendancy of other arguments for God’s existence. In particular, first-cause arguments were given a huge boost by scientific discoveries centred around big bang cosmology and fine tuning arguments were assisted by scientific progress in general, especially in physics and astrophysics. These facts significantly changed the apologetic landscape. But other than that, was there a new ground-breaking critique of the first premise of the basic moral argument: that moral facts point to the existence of God? In fact there was not. What then? What happened, at least in philosophical circles, was the rapid rise in a fairly trendy European anti-realism about ethics – although like many trends, it was not to last. A group of philosophers known as the Vienna Circle as they met at the University of Vienna starting in 1922, came to exercise a great influence over what followed in mid-twentieth century analytic philosophy. It represented a radical critique of a great deal of what had gone on in philosophy up to that point. In particular it proclaimed “the elimination of metaphysics,” laying a new set of ground rules for what did and did not count as a meaningful proposition. The thought of the Vienna Circle was introduced to the English-speaking world largely by A. J. Ayer in Britain, principally in his book Language, Truth and Logic, published in 1936. Advocating logical positivism, the movement declared that unless a proposition was either analytically true (true by definition) or could – in principle at least – be empirically verified, then it was literally nonsense, and not a real proposition at all. With this verificationist cudgel in hand, the movement sought to lay waste to both metaphysics and moral realism. Moral claims, they realised, were neither true by definition nor empirically verifiable, even in principle. Hence, moral claims were deemed to be not propositions at all, but expressions of will, emotion or something else. To talk about moral facts was regarded as mere nonsense. Thus, the widespread influence of the Vienna circle and logical positivism saw an eclipse of moral realism and hence of the moral argument. Philosophy of religion was consumed with entirely different issues for a number of decades. This is illustrated by the way in which the now classic work edited by Antony Flew and Alasdair McIntyre in 1955, New Essays in Philosophical Theology, talk of falsification and meaningfulness took centre stage. But things did not end there. The fact is that today virtually nobody would want to be known as a sympathiser of logical positivism. Before long people began to ask the obvious question, namely whether or not the tenets of logical positivism were themselves true by definition or empirically verifiable, and the equally obvious answer – no – dealt a blow that logical positivism would never recover from. By its own principles, the rule of logical positivism had to be deemed , not false, but literally meaningless! Now the dogma had to be reduced to some friendly advice; a suggestion of sorts that there was no particularly compelling reason to embrace. 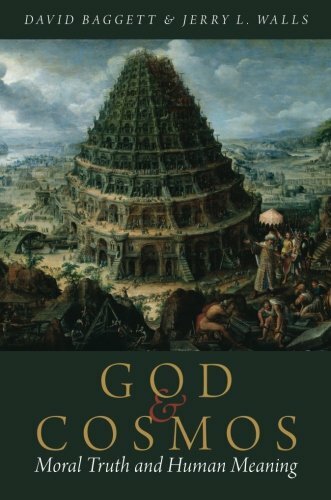 There was no barrier to thinking that propositions about God, about metaphysics, and about objective right and wrong, were meaningful after all – and who knows, many of them may well be true. With the fall of logical positivism came a resurgence of interest in the grounding of ethics. 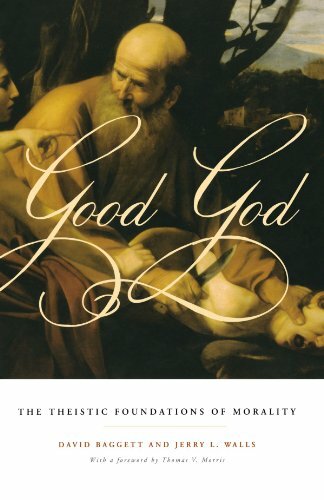 But logical positivism had emboldened non-believing ethicists to pursue their vision of the good (or lack thereof) without reference to God, since God could be dispensed of without the need to account for moral facts (so many may have thought). Even with a return to moral realism, that same boldness remained. God was gone from the picture, and in a kind of historical forgetfulness, people had lost track of why God had been important. Never mind those awkward details – we’re atheists, we know there’s a right and wrong, so let’s get on with it and talk about right and wrong! While there has been a return to ethical realism, there has been no desire to return to the problem created by ethical realism in the first place. There is an increasing awareness of the existence of the crisis, as seen in the willingness of some published ethicists to acknowledge the historical association of morality with God and to offer their own reasons for not accepting the association as legitimate (some of which are addressed in my forthcoming article on the epistemological objection to divine command ethics in Philosophia Christi). But the bottom line is that with the major shift in mid to late twentieth century philosophy has come fresh opportunity for theists in philosophy. As illustrated by the new wave of literature and the new direction taken by philosophers of religion (a movement that some have yet to catch up with), the moral argument is back on the table. Photo: "Resurrection" by fady habib. CC License.